U.N. experts have begun analyzing satellite imagery of the Syrian site struck last month by Israeli warplanes, diplomats said Friday, disclosing what amounts to the first independent look at reports that Damascus was hiding a nuclear facility. It was unclear where the material was obtained or what exactly it showed. One of the diplomats who is linked to the International Atomic Energy Agency - the U.N. nuclear watchdog examining the photos - said IAEA experts were looking at commercial images, discounting suggestions from other quarters that they had come from U.S. intelligence. Separately, a senior diplomat familiar with the issue indicated that agency experts were looking at several possible locations for the Israeli strike. Two other diplomats said initial perusal of the material had found no evidence that the target hit Sept. 6 was a nuclear installation. They emphasized, however, that it was too early to draw definite conclusions. All of those speaking to The Associated Press were briefed on the agency's receipt of the images but demanded anonymity because their information was confidential. Since the bombing, news media have quoted unidentified U.S. officials as saying that the airstrike hit some sort of nuclear facility linked to North Korea, which is now in the process of dismantling its nuclear weapons program. 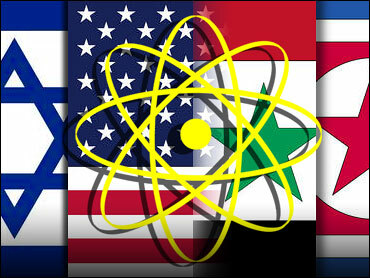 On Friday, The Washington Post cited American officials as saying the site in Syria's eastern desert near the Euphrates River had characteristics of a small but substantial nuclear reactor similar to North Korea's facility. Officials of the Vienna-based nuclear watchdog and the U.S. diplomatic mission to the IAEA had no comment Friday. But IAEA spokeswoman Melissa Fleming indirectly rebuked Washington earlier this week, saying the agency "expects any country having information about nuclear-related activities in another country to provide that information to the IAEA." The investigation by the IAEA is important because it is the first instance of an independent and respected organization looking at the evidence and trying to reach a conclusion as to what was hit. Daryl Kimball, executive director of the Arms Control Association, cautioned that - without full U.S. cooperation - the IAEA's probe might be hampered because commercial satellite imagery "may not be of sufficient quality to figure out difficult questions." Still, he welcomed IAEA involvement, saying it gave the chance for a neutral organization to "provide an assessment and give the international community some guidance about what has or has not happened." Syria denies that it has an undeclared nuclear program and North Korea has said it was not involved in any nuclear program in the Mideast nation. Damascus has said the Israelis targeted an empty building, and the agency has said it has no evidence to the contrary. The diplomats said that Vienna-based Syrian diplomats have met with senior IAEA representatives since the bombing, but have provided no substantive information that would indicate their country had nuclear secrets. Syria has signed the Nuclear Nonproliferation Treaty and has allowed agency experts to inspect its only known nuclear facility - a small, 27-kilowatt reactor, according to diplomats linked to the IAEA.